Last week, a ‘white hat hacker’ took matters into his own hands and hacked into the most powerful Facebook User’s page – founder Mark Zuckerberg. In healthcare marketing, an aspect that is often overlooked but extremely important is the element of protecting your presences online. A computer programmer overseas had come across a flaw that, according to The Huffington Post, allowed him to post on anyone’s wall on the site, even if that user had strict privacy settings. The programmer submitted his findings to Facebook’s ‘white hat’ program and was told by Facebook’s engineering team that his findings were false. That’s when the programmer decided to prove his findings by hacking into a Verified, Private, and assumedly the most protected Facebook page on the social network – Mark Zuckerberg’s. Technically, this wasn’t a hack into Mark Zuckerberg’s Facebook page, but it was a flaw that Zuckerberg’s Privacy Settings should have not allowed. As the social media director for Quaintise, I can only assume that Mark Zucherberg’s Privacy Settings are much like mine, if not more stringent, not allowing another person, even close Friends, to post anything on my Wall without prior approval. No one can Tag me in posts or photos, and no one can post any URL onto my Wall without me seeing it first and approving it. I’m assuming that Zuckerberg’s Privacy Settings are similar, which made his engineering team truly take notice when a post appeared on his page that was not previously approved. As a physician, you already understand how crucial a top-notch reputation is in the medical community. And you’re probably beginning to understand just how important an remarkable reputation is online. According to Cisco Systems, Facebook is a favorite of Internet criminals, says the Cisco 2010 Annual Security Report. It's a big target, with more than 500 million active users. Even CEO Mark Zuckerberg's Facebook account was recently hacked. According to ESecurityPlanet.com, a premiere online security resource, there are a few elements of protection that you should be concerned about - The top areas you should be thinking about include: Securing your Page, locking down your admin accounts, and securely managing apps, comments, posts, and abuse. The most common security risk for businesses on Facebook is the hack, when a ‘black hat’ hacker gets into your business page and either begins posting as the business or collects private information on the business. Malware is another risk. 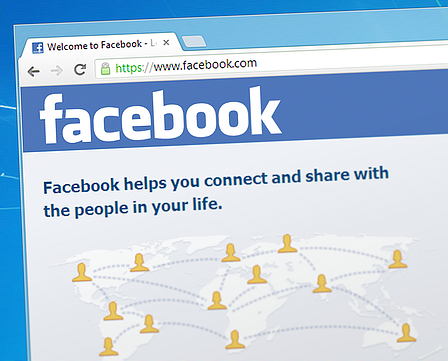 There are some things that you, as the Facebook page Admin, can do to eliminate these risks. 1. Know All Admins – The most important element in keeping your brand protected on Facebook is to know all Admins on that business page account. In fact, there should be only two, yourself and your healthcare marketing social media expert. Never, ever approve a Fan to become a page Admin, allow employees to become page Admins, or allow family members to become page Admins. It’s nothing against employees or family members, but the less amount of page Admin, the better. 2. Manage Settings – Facebook has updated it’s security options for Business Pages quite a bit over the years, which gives you as the Admin, and your healthcare marketing team, some much needed control. In the Settings Tab for your Business Page, Make absolutely sure that your Profanity Filter is set at least to Medium, that “Only Page admins can tag photos posted on my Page” is selected under Tagging Ability, and that the Posting Ability settings are pretty tight. If you allow Fans to post directly to your page without the ability to review that post first, you’re setting yourself up for disaster. By managing these three crucial items, you will limit the ability that spammers and hackers have of posting onto your Business Page Well. 3. Apps – There are around 10 million apps available on Facebook, many of them available to integrate into your Business Facebook page. While there are huge benefits in terms of healthcare marketing by adding a Facebook App to your page (increased engagement, more Likes), there are great security risks. Facebook Apps literally open the door to your brand. With your Facebook Business page security settings maintained at fairly tight levels, adding an app is like opening the door to your fortress. It lets that app, and every single thing that app is associated with, into your home – your Business Facebook Page. It is imperative that you read all reviews on the particular app you wish to download before adding it to your page. If the app is new, find another. If the app has no reviews, find another. If you have a bad feeling, find another app. Finding success in healthcare marketing for your practice is not solely about increasing your Reach and driving traffic through your front door, it’s also about protecting what you have built. Let Quaintise help you with that.